I have a confession to make. Animals are among my favourite people – for, as Gerald Durrell might have suggested somewhere in his touching trilogy, they’re almost family. So when that poor leopard was clubbed to death on a distant border of our ancient civilisation, it hurt badly. I saw that event through a red haze on social media and so did a good many other human beings to whom death is not an event in life. I’d add, “As Wittgenstein said…” – but you’d probably club me to death, too. So no. But even as the rage against the dying of the light subsided, it was replaced by other sensations as the storm of protests stubbornly refused to abate on Facebook and Twitter. Fat in the fire, the outraged posts and tweets sputtered and threatened to set civil society alight. 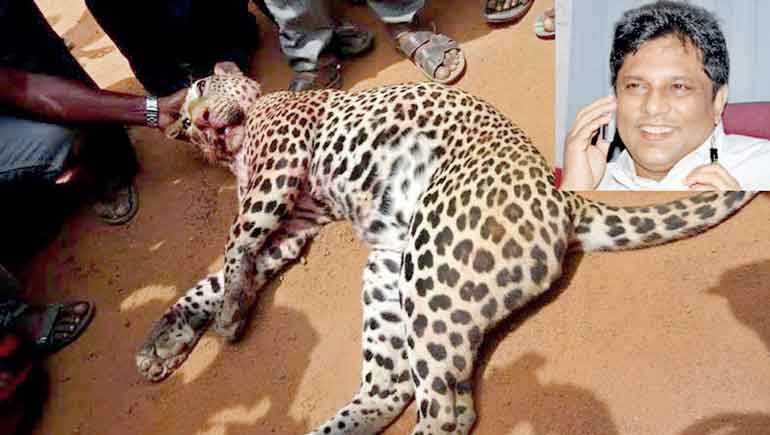 And before you could say “methinks these good folks do protest too much” backwards in a Veddah-like tongue, the number of tweeps demanding justice for a leopard slain in violent fury exceeded the number of people asking that the same be true for another political animal done to the death. No one save a handful vociferously protested his brutal killing then. Not many of the tweeps and persistent members of the Can You Spare A Minute For Mr X And Ms Y To Sign This Petition brigade can claim to have issued a clarion call then in the years after his public assassination even after the initial fear and ignoble furore had died down. None favour his lost cause these days. When all is peace without justice for only those on the periphery of civilisation. Time out of mind in an epoch when fat cats lounge and laze like some insolent leopards who have forgotten their purpose in political life while the jackals and hyenas circle the corpse of Good Governance. The rot, however, set in long before the present stink manifested itself in the unpleasant odour of violence with impunity against dissent. Much like a medieval monarch plaintively asking his mindless nobility “Who will rid me of this troublesome priest?” – Henry II vis-à-vis Thomas à Becket – a former president made a public declaration that anyone willing to rid the state of a brace of bothersome newspaper editors would be doing that majesty a personal favour (and never mind lèse majesté!). Least majestic of all, perhaps, are the personal friends under whose beds the late lamented editor lounged to gather his rosebuds while he may. Or the political fiends who liked him for reasons best known to themselves; loved his fearlessness when it gave their gutless ambitions some leg or spine, but left him in a literal ditch on that long last mile. Even now it is not too late to rage against the dying of the light. ‘Sabbé saththā bhavanthu sukhi-taththā!’ Sorry to see lip service being paid to the noble truth of the value of life in a land that has long forgotten the true teachings of the Tathāgata. Since we serve no political club nor carry the standard of any philosophy, the best one can hope for is an injured silence; at worst, a brutal verbal or bodily beating. Shall rest in peace when Lasantha is served as well as the leopard. Oh, one more thing: happy birthday, Mme Ex-Prez! I dedicate this column’s outraged clarion call to you. Can it be that the lady and her ilk do not protest enough that justice has not been served?